Doug Nordan is a 30-year veteran in the Vancouver real estate industry, and brings this valuable expertise to Spire Development as Director of Assets and Development. 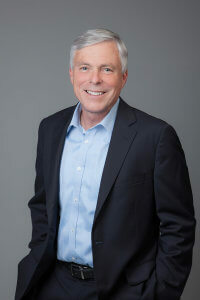 Doug identifies real estate acquisition and development opportunities in tandem with Spire’s objectives and values and is focused on fostering new and existing relationships to further the company’s reputation and drive company growth. His vast experience ranges from large, institutional firms to small, entrepreneurial development companies, and from property management to sales and leasing and all aspects of the Real Estate development process, which gives Doug a broad real estate perspective. He works with a high standard of ethics, and thrives in a team environment. Complementing his storied career, Doug holds a Master of Business Administration (MBA) from Simon Fraser University and a Bachelor of Science (B.Sc.) from the University of British Columbia. He has previously volunteered as a mentor with the NAIOP Mentorship Program. Outside of his career, he enjoys time with his family, golf, hiking, and renovating houses.